The P-39 Airacobra may be the least loved American fighter plane of World War II, deemed inadequate by military planners at the outset of hostilities and written off as nearly useless by many historians. Certainly, the P-39 could not match the high-altitude performance of classic American warbirds such as the dapper and agile P-51 Mustang, nor the hard-charging, hard-hitting P-47 Thunderbolt. And yet it was pilots of the Airacobra, not the Thunderbolt or Mustang, that achieved the highest scores of any aviators flying an American war plane during World War II. That this fact is not better known maybe because those Airacobra pilots flew with red Soviet stars on their wings. Founded in 1935, the Bell Aircraft Corporation was known for unconventional designs such as the Airacuda bomber-destroyer which would have been at home on the cover of a science fiction magazine. In 1939, Bell approached the designs of its prototype XP-39 single-engine interceptor from a revolutionary perspective: instead of designing guns to fit the airplane, Bell designed a plane to fit around its gun — an enormous Oldsmobile T9 37-millimeter automatic cannon shooting throw the propeller hub. This had a caliber commonly found on early World War II tank guns. It would only take a single direct hit to down an enemy airplane, and the P-39 also carried two additional .50-caliber machine guns in the nose and four .30-caliber weapons in the wings for a good measure. To make room for the nose-mounted cannon and 30 rounds of ammunition, the P-39’s Allison 12-cylinder V-1710 inline engine was mounted behind the cockpit — you can even see the exhaust just below the rear canopy — with the propeller shaft passing between the pilot’s legs. The design was also the first single-seat fighter to boast a third extending landing gear under the nose in addition to one on each side of the fuselage in a more stable “tricycle” configuration which is now standard. A raised bubble canopy that opened from a side door offered the pilot excellent visibility, and self-sealing fuel tanks and around 200 pounds of armor plating added to initial P-39D production models improved the Airacobra’s survivability. The XP-39 prototype exhibited a very decent top speed of 380 miles per hour in 1938. However, the Army Air Corps demanded that Bell increase speed even further by trimming away drag-producing elements. Ultimately, the designers settled on eliminating the Airacobra’s turbo-charger air scoop under the fuselage to deal with the drag problem. This decision proved fatal to the Airacobra’s prospects as a frontline fighter, as aircraft without the turbochargers handled like a brick above altitudes over 15,000 feet. In a few years, the U.S. bombers would sally forth on raids against Nazi Germany conducted at altitudes of 25,000 feet, and German fighters would climb even higher to ambush them. Furthermore, the Airacobra’s slow climb rate made it terrible at its original role of intercepting high flying enemy bombers. The P-39 centrally-mounted engine also pushed the center of gravity to the rear, making it prone to vicious spins once cannon ammunition was expended from the nose. Though the P-39 was not generally disliked by its pilots, it would also never have its own pilot’s association, unlike the four other major fighter types of the Army Air Corps. Prior to the U.S. entry in World War II, the United Kingdom received more than 200 export-model Airacobras known as P-400s, which were downgraded to a 20-millimeter cannon in the propeller hub. But Royal Air Force pilots had fought many high-altitude battles with the Luftwaffe, and hated the Airacobra. Only 601 Squadron operated the Airacobra, flying the American fighters on a single combat mission before the type was withdrawn from British service. When the first two U.S. Army Air Force fighter groups arrived in England in the summer of 1942, the RAF persuaded the Americans to leave their P-39s behind and use British Spitfires Mark Vs instead. A few P-39 Army Air Force squadrons did eventually see action in North Africa and Italy. There, they rendered decent service largely in a ground attack role capitalizing on their hefty firepower and good low-altitude handling providing air support for the Allied force in North Africa and Italy, and amphibious landing at Anzio and Southern France. However, the Airacobra’s initial entry into action proved inauspicious as nearly a score of fighters of the 350th and 81st Fighter Group went off course while transiting from England to Morocco and made forced landings in Portugal. The Portuguese duly confiscated the planes for their own air force, though they were so courteous as to pay the U.S. government $20,000 for each airplane. The P-39 played a briefer but more prominent role in the Pacific theater. In 1942, Airacobras and older P-40 Warhawks were the only modern Army Air Corps fighters available to hold the line against the initial Japanese onslaught into the South West Pacific. Airacobras engaged in intense air battles supporting marine and army troops on the islands of Guadalcanal and Papua New Guinea. The poorly regarded fighters traded off a 1:1 kill ratio against more maneuverable Japanese aircraft with more experienced pilots, including the dreaded A6M Zero. However, P-39s repeatedly struggled to climb fast enough to intercept Japanese bombers above 20,000 feet, and its short range of 500 miles limited its effectiveness across the far-flung Pacific Islands. Nonetheless, Airacobras played a vital role in intercepting Japanese bombers diving down to low altitude to pound Allied shipping. Lt. Bill Fiedler became the only American P-39 ace when he scored five kills over New Guinea and the Solomon Islands, including three Zeros in a row, before tragically perishing in a runway collision. Airacobras also saw combat in the long-forgotten campaign to take back the Alaskan Islands of Attu and Kiska from Japanese forces, though cold, wet weather would prove a deadlier foe than Japanese cannon shells. Spare P-39s were passed on to beef up the Australian Air Force (they never saw combat) the Free French (involved in close air support over Italy and Southern France) and the 4th Stormoof the Italian Co-Belligerent Air Force (hitting targets in the Balkans). Unfortunately, these P-39s suffered numerous accidents, leading to the deaths of the Italian ace Teresio Martinoli and the French ace Pierre Le Gloan. Remember those P-400s the British couldn’t wait to get rid of? Well, the Brits packed off 212 of the fighters via risky Arctic convoys to Murmansk as hand-me-down military aid to a desperate Soviet Union in the winter of 1941–42. Wearily, Soviet pilots spent several months testing these fighters of ill-repute, doing their best to figure out the aircraft’s nasty spin problems. And funnily enough, the Soviets loved them. Stalin even wrote a personal letter to Roosevelt asking for more! This fondness was not true of all Lend Lease equipment. The hulking M-3 Grant medium tank was nicknamed the “Coffin for Seven Brothers,” and the Spitfire was deemed too sensitive to the cold. But the P-39 perfectly met Soviet requirements. 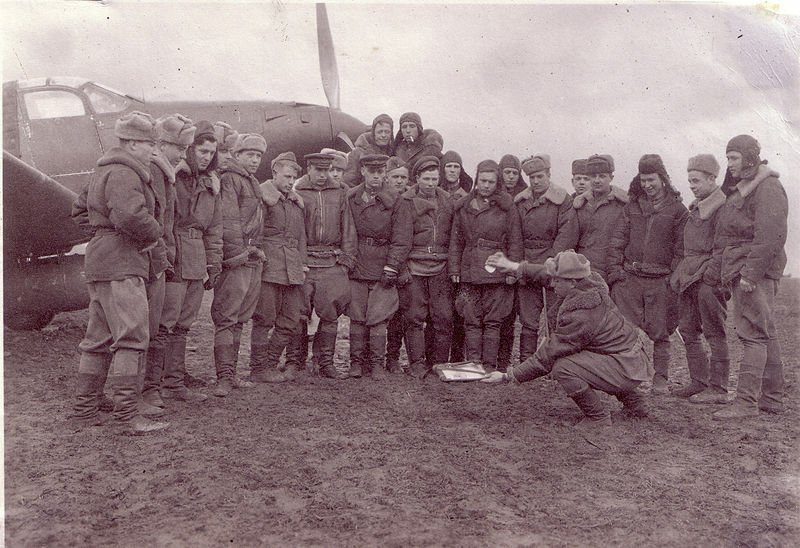 In the Cobra’s first two months in Soviet service, the 20 Airacobras of the elite 153rd Guards Fighter Regiment operating out of Voronezh shot down 18 bombers and 45 fighters — mostly Junker 88s and Messerschmitt 109s — while only losing eight planes. Unlike the high-altitude air battles of the strategic bombing campaigns in Western Europe, the majority of air operations over the Eastern Front occurred at low-altitude in support of troops on the ground — a domain in which the P-39’s deficiencies barely mattered. Around 5,000 P-39s were delivered into Soviet service, of which 1,000 were lost to all circumstances. 2,500 of the single-engine fighters were ferried by American and Russian pilots—many of them women—from Buffalo, New York to Alaska, from there across the Bering strait into Russia, and then completed a dangerous run across a chain of Siberian airfields to frontline units in Europe. Another 2,000 were shipped in crates via Allied-occupied Iran. After the initial batch of P-400s, the Soviets primarily operated the P-39N variant with a more powerful V1070-85 engine that increased maximum speed to 390 miles per hour, and the P-39Q, which swapped the “paint scratching” underwing .30-caliber machine guns for two heftier .50 caliber weapons. However, Soviet mechanics often removed the wing-mounted machine guns entirely to improve performance, as VVS pilots preferred to fly with a smaller number of more accurate fuselage-mounted weapons. Many histories single out the P-39’s cannon armament as making it an ideal ground attack plane. But in reality, the Soviets did not even acquire anti-tank rounds for the 37-millimeter cannon, and primarily tasked the Airacobra with shooting down enemy bombers and escorting Soviet Il-2 Sturmovik ground attack planes. Soviet Airacobra pilots were willing to ram German aircraft to take them out, and one P-39 ace even downed a German 109 by sawing its tail off with his propeller. 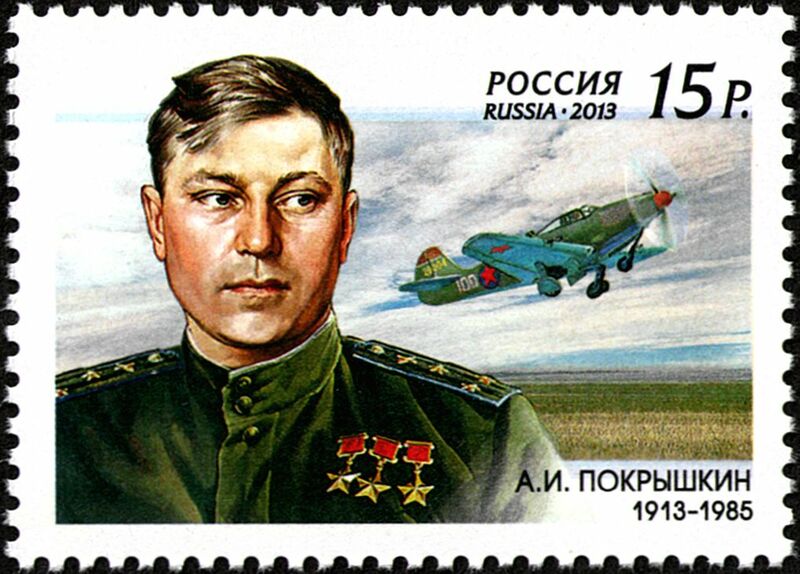 In fact, five of the Soviet Union’s top 10 fighter aces primarily flew P-39s, including the number two scorer Alexander Pokryshin with 59 kills (48 on the P-39) and number four scorer, Grigory Rechkalov (56 kills, all but six on the American fighter), though exact totals vary slightly across sources. These Soviet aces each individually scored more kills piloting P-39s than any other Allied pilot did flying any American fighter plane in World War II — quite an achievement for a designed deemed inadequate by the U.S. Army Air Corps. 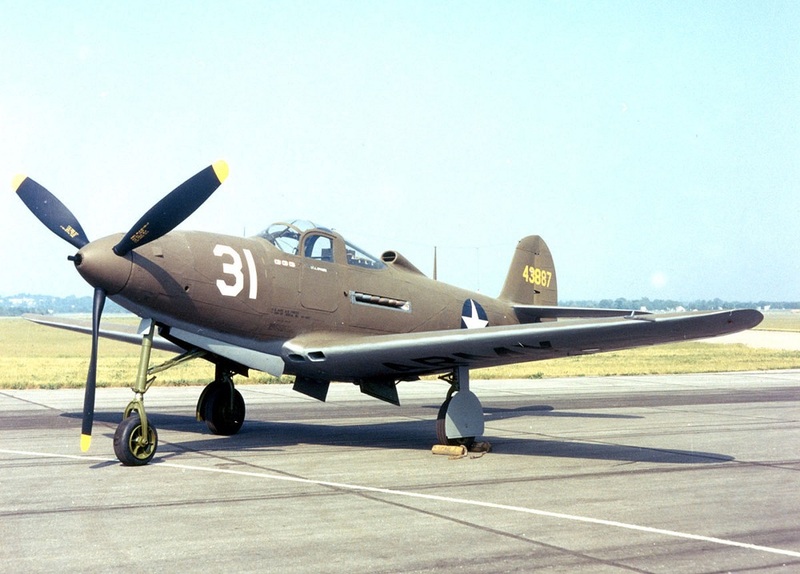 Ultimately, the major role played by the P-39 in the Soviet war effort was underscored by two events that occurred on May 1945 on the eve of the German surrender. A German Me 262 jet fighter shot down a P-39 over Bohemia — the last airplane shot down by the Luftwaffe in World War II. And the following day, a Soviet Airacobra destroyed a twin-engined Focke-Wulf 189 recon plane over Prague — the last Luftwaffe aircraft destroyed in the conflict. Bell did eventually take a second stab at the P-39 design in the larger P-63 Kingcobra, which featured a four-bladed propeller, laminar flow wings devised by NACA, and — finally — a turbocharger which kicked in whenever the plane flew above 10,000 feet. The Soviet Union even dispatched a test pilot and engineer to advise on the aircraft design. Though the Kingcobra could attain speeds of 410 miles per hour, the Army Air Corps judged it inferior to the P-51 Mustang and never operated the type except for a small number painted bright orange to serve as “Pinball” practice targets for anti-aircraft guns. Around 2,400 were delivered to the Soviet Union, however, with a secret agreement restricting their combat use to the brief but decisive Soviet campaign against Japanese forces in Manchuria in August 1945. It took a few more years before the type faded away from history. A squadron of Soviet P-63s based near Vladivostok was accidentally strafed by U.S. Air Force P-80 jets during the Korean War. Around the same time, 60 French Air Force P-63s served as frontline fighter bombers against the forces of Ho Chi Minh until the aircraft were phased out of service in 1951. Ironically, the designers at Bell created a fighter that poorly fit the operational needs of the U.S. military, but that worked just fine for the low-level tactical air war waged by the Soviet Union. That just goes to show that application is as important as design in the success of a combat plane. It just so happened that it fell to Soviet pilots to maximize the potential of a much maligned American fighter.